Welcome to Tomah Memorial Hospital's eNursery. Here, babies born at the New Beginnings Birth Center have their photo posted for family and friends to enjoy. Parents have signed a consent form in order for the photo to be displayed. PLEASE NOTE: Visiting hours are 10:00 am to 8:00 pm with Quiet Time encouraged for all OB patients and their infants from 1:30 pm – 4:00 pm. 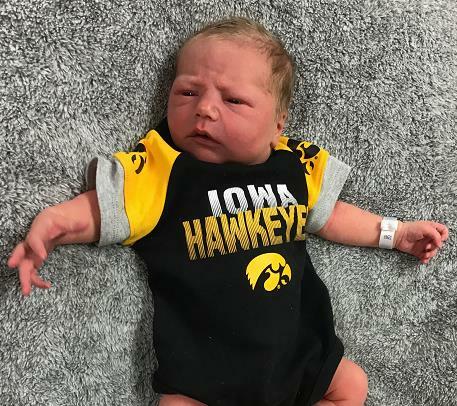 For more information about the birthing options available at Tomah Memorial Hospital, please go to the "New Beginnings" Birth Center. Weight: 9 lbs. 3 oz.